← Silence is Golden… or Is It? 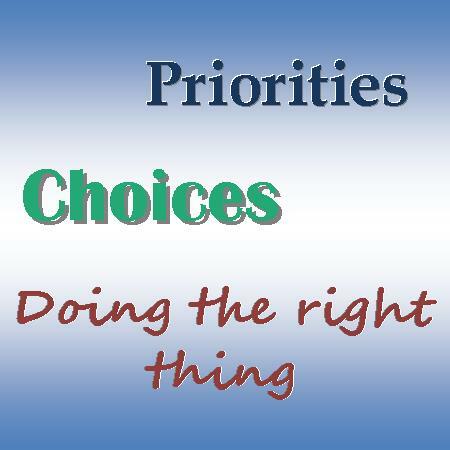 Life is about making choices, setting priorities, and sometimes doing the hard thing. Such has been my days this last month. While my tumor was successfully removed (mostly–there are remaining fragments that will have to be watched in the years to come), the fatigue still plagues me. Most of that is due to my poor eating habits and consequently my weight. So not only will I be doing lots of writing in 2017, but I will be doing less eating and more moving (ie exercising). The hard thing. Shew. I hate exercise. I hate eating right. I like soda, chips, and cookies. They make me feel good. Temporarily. But in the long run, if I don’t cut them from my life, I will suffer the consequences of allowing them too much access to me and too much control over my future. Sin is the same way. It seems pleasurable for the moment (and it is), BUT it separates us from our rightful place as a child of God. In the long run, if we don’t cut the sin from our lives, we will suffer the consequences. Except the consequences for sin last for eternity. The consequences for my bad eating habits are only temporary, though much more obvious. But it’s ALWAYS our choice. God is a perfect gentleman. He may nudge you once in a while to do the right thing, but He will not force Himself upon you. I have never made good eating a priority. Exercise either, for that matter. It just wasn’t important to me. But my children are getting older (I’m not, btw, haha), and soon I’ll have grandbabies to love on. I want to be here for them, to spoil them (and then send them home) and love them like only a grandmother can. In order to do that, I have to take care of myself. And that starts now. 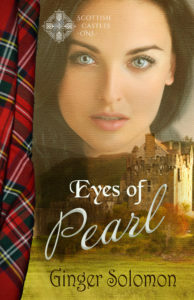 Desperation drives Neva MacKinnon to marry the handsome, but fierce Alexander Chisholm, Chieftain of the Chisholm Clan. Without him, she won’t survive the harsh Scottish winter. With him, she fears for her heart. Alexander Chisholm needs a wife to provide an heir, and soon, in order to remain chieftain of his clan. He’s not looking for love, but his bride has to be someone he can trust. A song in the woods draws his attention and when he sees the raven-haired beauty with the eyes of pearl and full of fire, he knows she must be his. Can Neva and Alex overcome their trust issues to admit their love for one another or was their marriage doomed the moment he invaded her life? Available at Amazon. For now, it’s only available on Kindle. I hope to have it in print soon. And what do you consider daily items? Slowly eliminate all the items that you are tempted to eat on a regular basis. You may want to work with a nutritionist. It is okay to eat eggs, lean protein, veggies. Eliminate sugar as much as possible that includes various fruits. Eat as much fiber as possible, and eat small meals to keep your energy constant. Exercise is so important in helping you to maintain and lose weight. Also, portion control, I do not count calories, I try to eat smaller portions. Stay hydrated this includes, water and tea.